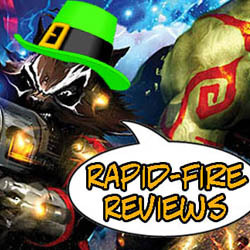 Continuing our Major Spoilers Star-Spangled Weekend™, and so far we’re running an average of 3 stars for the items reviewed from the big, dumb month of June 2010. Another batch of comics (featuring the first star-spangled hero, as well as several former heads of state) is on the chopping block… Will our average go waaay up, or waay DOWN? Previously, on Everything: Having idolized the original Cap to the point of obsession, the future 50s Captain America focuses his life in an intense analysis of American history with Captain America as its best representative. He attains a PhD in American History in the early 1950s with a thesis on the life of Captain America. Soon after graduating, he further researched the secret “Project: Rebirth” and discovered private Nazi files revealing the true identity of the original Captain America as well as the lost Super Soldier serum formula. The man who would later become the Grand Director returns to the United States with this information and legally changes his name. Then he approaches the FBI offering the Super Soldier serum as leverage to become the next Captain America as a symbol during the Korean War. He undergoes surgery to get the physical appearance and voice of Rogers. The FBI sets up the new Rogers at the private preparatory Lee High School in Connecticut to take advantage of his extensive American history background as a teacher. He began wearing glasses and smoking a pipe and settled into his quiet life as a teacher. But he found an intense advocate in James “Jack” Monroe who shared his obsessive fascination on the wartime exploits of the original Cap. When the Red Skull resurfaces in the mid-1950s, “Rogers” takes matters into his own hands and injects himself and Monroe with a sample of the unproven “Super-Soldier Formula” and goes off with him to confront the Red Skull as the new Cap and Bucky. However, without the vita-ray exposure Rogers received to activate and stabilize the serum, his 1950s successors underwent a dangerously flawed application. Although initially accepted in the roles of the new Captain America and Bucky, the radiologically untreated formula they ingested eventually gave them psychotic symptoms. The two become unreliable with a violent paranoia that led them to attacking innocents simply for their race or for holding opinions that even remotely differed from their own. They were arrested and put into suspended animation by government agents. The “Captain America of the 1950s” and his “Bucky” are kept in suspended animation until they are reawakened decades later. The art here isn’t bad, and they’ve done upgrades to Inferno since I saw him last, making him less annoying than before. I think my biggest Crusaders-related complaint is the way they took several characters from the Golden Age who were unique and modernized them in ways that are less so. (Hangman, for instance is basically stealing his schtick from The Spectre, even though MLJ already HAS a character in that role, Mr. Justice.) It’s an improvement over some of what we’ve sen thus far, and it’s good enough to keep me on board (although I always like team books better for some reason) even as it still has some flaws that concern me. Jeff Parker does his usual stellar work here, and the art isn’t bad (Sara Pichelli is not a name I’m familar with, but she turns in a fine job here) but overall the issue ends up being kind of predictable and meh. There are touching moments as Namora is seemingly reunited with her lost daughter, but overall it’s pretty inessential. Moreover, the cover (with a dead-looking Namora floating in oddly black waters) seems to be evocative of the recent ecological tragedy in the Gulf, and is a bit disquieting if it was intentional. As much as Parker is a fave-rave, this story could easily have been told in the backup slot of the ongoing ‘Atlas’ title and possibly had more eyes on it and done the character a bit more good. Powers (Vol. 3) #5: We’ve not nearly as done with Z and his Screaming Eagles as I thought, as Christian Walker ends up in a bar thanks to a ‘Dear John’ letter from his beloved girlfriend. Recent issue showed her as having glimpses of Walker’s past (and wondering what exactly he is, since it’s clear that he’s not completely human) but she left him when she started having glimpses of an apocalyptic future wherein she and he were once again costumed crusaders against an unknown threat. Walker drinks himself blind as his new partner has domestic issues and his old partner watches from the shadows. It’s hard to watch, but it’s a really good look into the mental state of a former superhero. 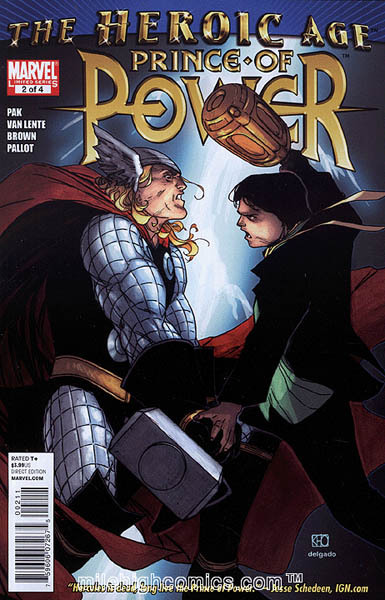 Prince Of Power #2 (of 4): Amadeus Cho continues his search for the lost Hercules in this issue, and even goes toe to toe with Thor, thanks to Banner’s energy shields and the adamantine mace of Hercules. (I am annoyed at this new “scientific geniuses are super at everything, even something outside of their discipline shtick. It’s replaced “I’m a mutant!” as the deus ex machine powers du jour.) Vali Halfling, once known as Agamemnon of the Pantheon, returns with larcenous intent, and frames Amadeus for a crime of theft… from the gods. Athena gets played, and Vali ends up successfully taking control of the entire Olympus group, save for Delphyn Gorgon, who has escaped from the brig. I suspect Cho’s snake-haired ex will play a big role in the resolution here. I’m not sure what it is about this series that makes it less enjoyable than Incredible Hercules thus far, but it’s kind of frustrating for me. Amadeus goes from his usual awesome self to whiny schmuck for several pages, and it’s only a shot with the hammer of Thor that jars him out of it. Athena’s ascension to the all-father role gets a back burner status here, but I’m hoping there’s a bang up ending coming (maybe one with Hercules in it?) It’s not a bad comic, just not as awesome as the usual Incredible Herc issue has been. 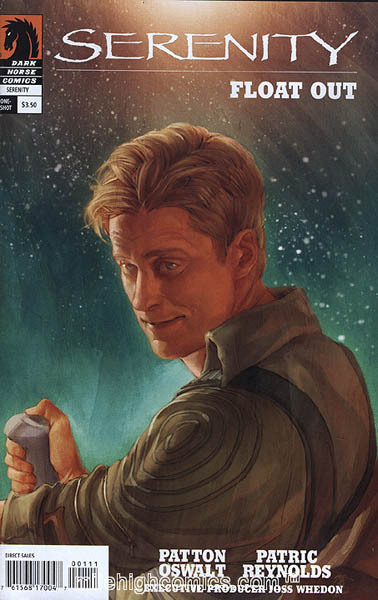 Serenity – Float Out #1: This issue is a lovely tribute to Hoban Washburn, the pilot of the Firefly class transport Serenity, lost in action during the movie Serenity, as three of his old pilot pals come together to eulogize their lost friend. Like Wash himself, it’s an odd story, giving us views of Wash’s cleverness, his witticisms and his skills as a pilot. Each story adds to the portrait of a complex, unique character and the story ends with an unexpecting cameo that also serves as a big reveal, setting up the possibility of Serenity stories that come after the movie’s continuity. Amazingly, this book is written by comedian Patton Oswalt (he of the “KFC Bowls” routine) and is pretty well-done. That’s no surprising if you think about the amount of work that Patton must put into the writing and language of his routines, but his grasp of character, situation and even pathos are spot-on. Patric Reynolds art is quite good throughout, and his rendition of the cameo at the end of the book is just flat-out beautiful. This book sets me up for the possibility of more adventures of this cast in the post-universe configurations, something I’d love to see. 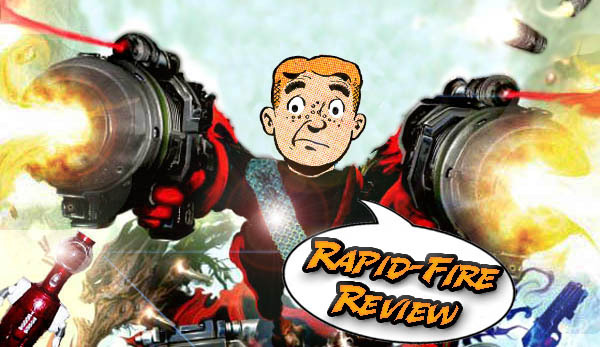 Perhaps a Joss Whedon produced ‘Firefly Season 2’ series? Dark Horse, are you LISTENING??? 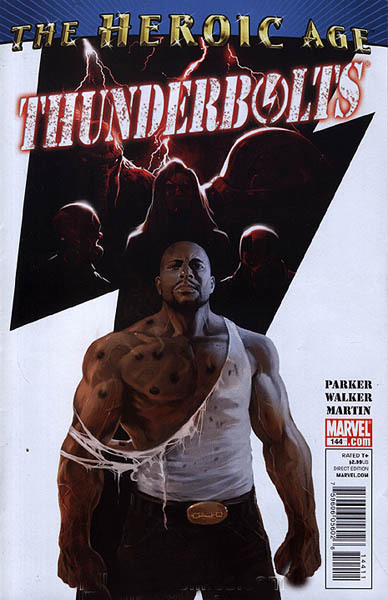 Thunderbolts #144: In the spirit of Wolverine appearing everywhere, we have another hero in the Marvel Universe doing double-duty as Luke Cage takes over the reigns of the team founded by Helmut Zemo in the wake of Heroes Reborn. His new charges include mainstays Mach V and Songbird, with Moonstone, The Ghost, a depowered Juggernaut, and Crossbones (!!) filling out the squad. The issue ends with Luke being taken down on their first trial run, and the team being offered an offer they can’t refuse by Baron Zemo himself! The best parts of the issue come in the use of Man-Thing as the team’s transportation, and the chain belt buckle that Luke wears on the cover (evocative of his awesome old Power Man suit.) There are some issues with the art to me, especially Songbird’s new haircut/skull shape. Cain Marko’s presence is annoying as well, as we’re once again in the “depowered Juggernaut plays good” phase, making it necessary in a year or two for him to go evil and power up again. (This is his fourth or fifth superhero team, isn’t it?) All in all, there’s potential here, but the issue makes some questionable choices that lower my overall enjoyment (Crossbones?? REALLY??) and drag things down a bit. I hope that it will live up to it’s premise sooner rather than later. Velocity #1: “My name is Carin Taylor… I run fast,” says our protagonist in a very Wally West open to the issue. I remember Velocity from Cyberf0rce back in the day, and she is one of the characters that I actually recall as something other than a knockoff character of someone wearing half a dozen belts and shoulder pads. Velocity is chased and captured by an evil scientist who wants to use her as a living viral vector to kill all of her partners in Cyberforce. Velocity escapes from her captor, and the issue ends with her on the run, knowing that she only has 60 minutes to live or find an antidote. I was pleasantly surprised by this issue, as Ron Marz gives us a good idea what’s going on in her mind, explains her powers, gives us her backstory and sets up the ongoing storyline, while Kenneth Rocquefort makes it a very good-looking story. And, I was happy to note that my expectations of cheesecake were undermined, as the story-telling is quite good, and only one issue (a rear-view of her running) even goes anywhere near showing off her form over the story function. 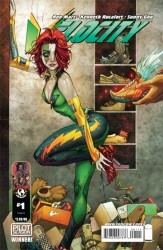 Velocity is an interesting read, and I will be checking out where this story goes in coming month. I have to say I was pleasantly surprised. 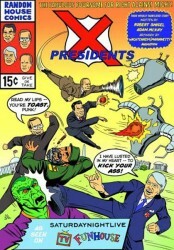 The X-Presidents Graphic Novel: It’s not unusual to see presidents appearing in comic books. Nixon fought Captain America… Ford fought Iron Man… Carter advised the X-Men on a mission… Hell, Reagan is practically a cottage industry, with dozens of appearances and his own series (“Reagan’s Raiders”) to his credit. 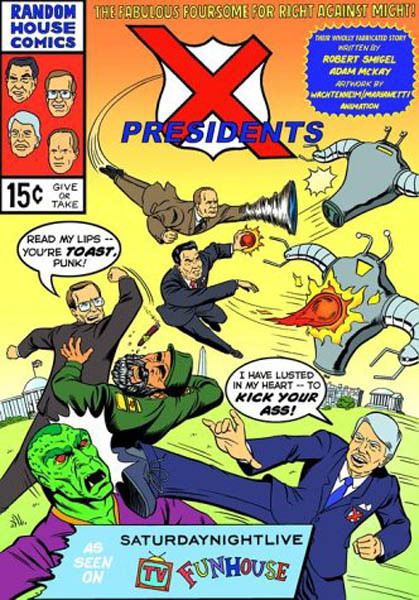 This comic picks up where the Saturday Night Live short left off, with the last four presidents (as of 2000, anyway) irradiated at a golf tournament and gaining awesome powers. The issue shows them fighting Khaddafy, Noriega, and their own animatronic duplicates in a series of tales that are funny, no matter where you fall on the political spectrum. Zatanna #2: Zatanna’s new role as magical trouble-shooter for the superhero set is pretty interesting as a setup, allowing us to see Zee, Vixen and Black Canary in action together against werewolves. (If only they hadn’t rushed all these characters off the table to set up for Robinson’s JLA.) 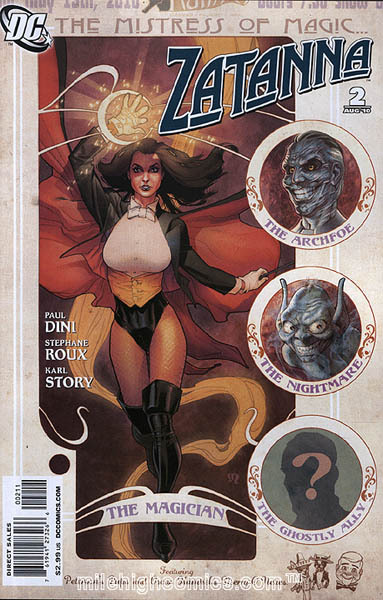 The cover promises a big bad (in the form of Brother Night, who is quite creepy) a nightmare (in the form of a dream demon that Zatanna has to fight) and a mysterious ghostly presence. Her usual costume has been upgraded, with the come-and-go cape returning and a yellow vest bringing the whole ensemble together, and the story does a good job of making it clear that Zatanna can carry her own book. The only real weakness comes in the big reveal, which I (and anyone who knows Ms. Zatara’s backstory) could see coming from three miles off. There’s a possibility that Zatanna’s book comes from the same thought process that brought us Heralds and/or Girl Comics, but I find this book much more likable… until the last page. Still, it doesn’t bring the whole story down, but it does lower my enjoyment of a good title somewhat. 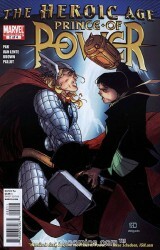 Good art, good characterization, and some very nice art but a predicatable climax still make for an enjoyable issue. I continue to want to read Velocity. Your review has magnified that desire. Isn’t that what average means? 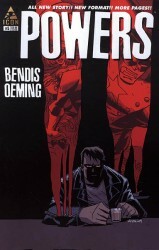 Odds are that any random collection of comics will average out to three stars. 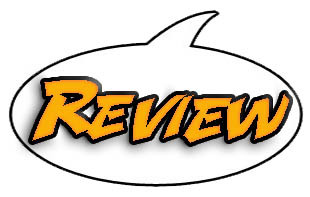 Mmm… If I like a book, and say, “Yes, this was enjoyable,” that to me is a three-star book. A book where I go, “OH, HELL YEAH!” is a four-star book. A book of sheer comic book joy is a five-star book. I use the one and two stars (more twos that ones, honestly) for a book that has potential with a ways to go. It’s HARD to get 5 stars out of me, and even harder to get only 1. But, if I WERE to give everything that I like 5 stars, it’s somewhat disingenous. I like Crisis on Infinite Earths #8. I like Marvel Feature #5. 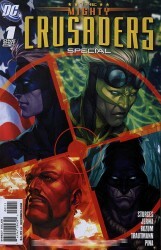 I liked All-Star Comics #3. I liked Adventure Comics #466. I liked Jigsaw #1. I liked New Mutants #14. I have to disagree on Wash’s Serenity one-shot, which I thought was pretty blah (up until the aforementioned cameo, which was the only interesting thing about it). The framing device was awkward, the individual reminiscences were pretty limp story-wise and didn’t reveal anything about Wash that we didn’t already know (great pilot, good guy), and for “cinematic dialogue,” it felt stiff and unnatural to me. The artist wasn’t terrible but his visual presentation was often confusing. I had to reread a few stretches to figure out what was going on. I’d love to see a Firefly: Season Two as it might have been done before the Serenity movie, a more gradual progression towards the developments that the movie had to bang out in two hours (not a criticism of the film, which was terrific). C’mon, how many Zee fans read REIGN IN HELL? How many real live =human= =beings= read REIGN IN HELL? The “big reveal” is more of a “big shrug” to everyone who didn’t read it and a “big WTF” to the fifteen or so of us who did, who suspected, but couldn’t figure out how it could possibly be.